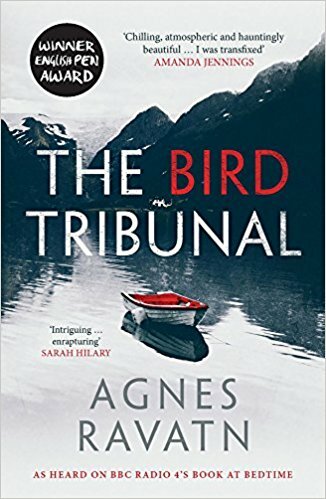 Set against the backdrop of an isolated house on a Norwegian fjord, The Bird Tribunal promises intrigue and danger and has a strong sense of foreboding from the start. Listed as a psychological thriller the book is really a domestic suspense, exploring the interaction and secrets of two guilt-ridden individuals. Thirty-something Allis Hagtorn replies to an advert and takes a job as housekeeper/gardener in this lonely spot. As the story unfolds we gradually learn of the scandal that has made her leave husband and a good job in television to run away from society and hide. Her new employer, 44 year old Sigurd Bagg, is not what she is expecting. He does not appear to work and his wife is absent. Reclusive, moody and with flashes of anger, Sigurd Bagg is a Heathcliff type of character who teases Allis, and therefore the reader, with the possibility that he is something other than what he seems to be. Allis, hurt from her experiences in the media, cannot bear his silences and feels he is in some way rejecting her. She has a crush on him and just like the narrator in Daphne Du Maurier’s Rebecca, Allis obsessively tries to get close to him and discover more about him and his absent wife. Beautifully written and packed with atmospheric descriptions of the changing seasons on the fjord, this is one for those readers that find the twists and turns of many crime novels confusing. The linear plot of the book is set at the start and does not deviate from its predictable conclusion as the unreliable narrator draws the reader into her world of uncertainty and fear. With a very limited stage and cast, the book is dark and claustrophobic as the reader waits expectantly for the danger to unfold. Please be aware that there are no speech marks in the book and some readers could find this off-putting.